HOST is a smart intervention that improves communication between homeowners and guests in the quickly expanding home rental market. There is a lot of important information that hosts need to share with guests, but guests only want to hear things on a need to know basis. 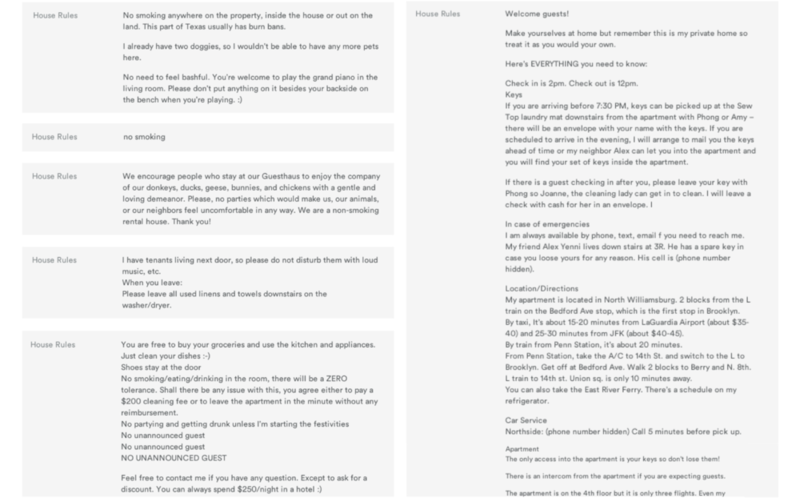 Left: Examples of house rules made by Airbnb hosts. Right: Example of what people do now to communicate with their guests. After interviewing Airbnb renters and guests, Werbler and Knops discovered that many hosts actually do not want to know the details of their guests stay. Knowing too much can be stressful. Their top priority is knowing that guests have all of the information they need to have a safe stay and, of course, not do damage to their home or belongings. In order to achieve this, hosts create lists of house rules which range from one or two sentences to multiple pages. 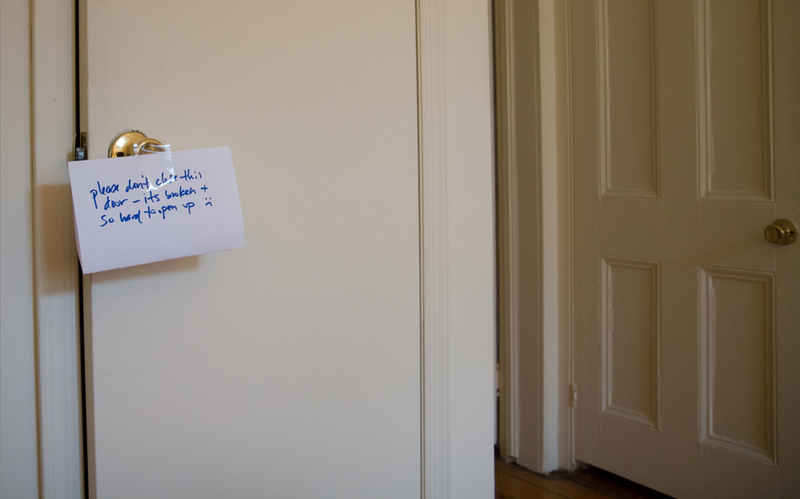 But as one Airbnb host points out, “We know people don’t read everything because they always go up the wrong driveway, which is one of the first things on the list.” The other workaround, is placing notes around the home. Werbler and Knops saw this as an opportunity to use technology to improve communication between hosts and their guests and they developed HOST. HOST is purchased as a family of totems. Each Totem is comprised of a motion sensing screen, and both a Knick and a Knack. These three elements simply join together with an embedded magnet and together form a unique visual character. The Totems pair with the HOST mobile application, where the homeowner programs a unique, location specific message for each Totem. The Totem is then placed in the home exactly where the message needs to be communicated. A PIR motion sensor activates the message, which plays across the screen, when guests encounter the Totem during their stay. HOST insures that the message will be delivered to the guests when and where the information is needed.